Flying Lotus, aka Steven Ellison, returned this week with a new album, You're Dead!, and a star-studded cast of guest musicians in tow. Unfortunately, you've got to be a fan of a broad-based instrumental music collage to be able to fully enjoy this record (which in case you hadn't guessed, I'm not). There are two predominant vibes on You're Dead!. The first is rooted deeply in jazz tradition. In particular, it's a free form jazz. Tracks like "Tesla", "Turkey Dog Coma", and the Harbie Hancock-assisted "Cold Dead" feel like modernizations of vintage jazz. The second major vibe on the record is more of a spiritual one. The chirping and mesmerizing knocking on "Turtles" may connect you with Mother Gaia. "Descent Into Madness" (featuring Thundercat) provides a sleepy, almost yogic moment. You'll get hypnotized by the Trip Hop of "Coronus, The Terminator". The album closes off with the mystical "The Protest". Most of the guest performances don't add much. While Kendrick Lamar's rapid-fire rhyming makes "Never Catch Me" stand out, Snoop Dogg is barely noticeable on the searing "Dead Man's Tetris". Dirty Projectors' Angel Deradoorian makes little impression on "Siren Song". It will take a very special, very patient person to get the utmost out of You're Dead!. If you can, then you are a better person than I. 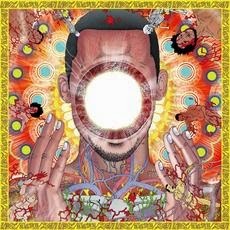 Flying Lotus plays the Danforth Music Hall in Toronto on October 21st. Best tracks: "Coronus, The Terminator", "Cold Dead"